IMO MSC.86 (May 2009) decided to make the BNWAS mandatory for all ships of 150 GT and upwards, engaged in international voyage, and passenger ships irrespective of size, constructed on or after 1 July 2011, also engaged in international voyage, shall be fitted with the BNWAS which shall be in operation when the ship is underway at sea. Ships constructed prior to 1st July 2011 will have to retrofit the BNWAS by the 1st survey after that date. The purpose of BNWAS (Bridge Navigational Watch Alarm System) is to monitor bridge activity and detect operator disability which could lead to marine accidents. BNWAS monitors the watch officer`s presence through watch safety system functions. A watch officer is required to press the button on a Timer Reset Panel or to operate Navigation Equipment (e.g. ECDIS, Radar, etc.) at certain intervals. When the officer fails to press the button within pre-set intervals, visual and audible alarms will be generated in the wheelhouse. If the officer doesn`t respond to the alarm, the system transfers the alarm to the Cabin Panels installed in other sections of the vessel in order to inform backup officers of the watch officer`s incapacity. Looking for ideal Navigation Alarm Equipment Manufacturer & supplier ? We have a wide selection at great prices to help you get creative. All the Marine Navigation Alarm Device are quality guaranteed. 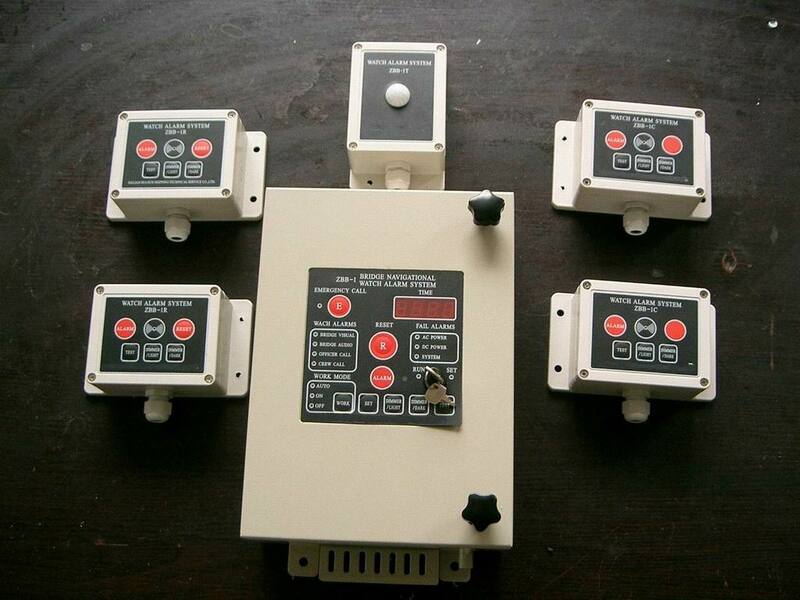 We are China Origin Factory of Marine Bridge Navigation Alarm System. If you have any question, please feel free to contact us.